Did you know that the federal government is the largest economy in the world, spending half a trillion dollars on goods & services each year, and the state of California ranks number five, just ahead of the UK & France! The government purchases nearly EVERYTHING from office supplies to construction services to art instruction services, and everything in between. If your small business sells it, the government probably buys it. Plus, there are special considerations for businesses certified as small, minority-owned, woman-owned, veteran-owned and more. Learn how to make the government your next customer, or learn how to expand your current government customer base at this free workshop series hosted by the Norcal Procurement Technical Assistance Center (PTAC) and the U.S. Small Business Administration (SBA). Learn the basics of getting started in the government marketplace. Hear the inside scoop from government agencies and utilities who purchase from small businesses like you. Learn about upcoming forecasts and have a chance to ask questions. A brief overview of the benefits of certifications available for small businesses and businesses owned by women, minorities, veterans, and others. This workshop is a part of the San Francisco Small Business Week. The 15th Annual San Francisco Small Business Week recognizes San Francisco’s 120,000 and growing, small businesses. Filled with networking opportunities, business-building workshops and inspiring content, the week-long event serves to educate and empower entrepreneurs who are starting, staying and growing in San Francisco. 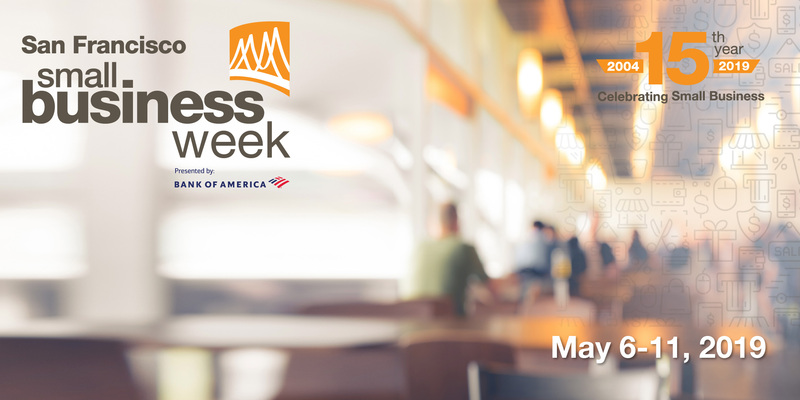 For more information about the week, please visit sfsmallbusinessweek.com.